There is no witnesses of the accident or it happened outside normal working hours. It is difficult or impossible to reach the employee. The accident wasn’t reported until days after it happened. The employee changes his or her story about the accident. The employee shows no interest in returning to work even when accommodations to the injury are made. The employee frequently changes physicians. The employee has a past history of workers compensation claims. In times of economic uncertainty, many employers face the possibility of workforce reductions. 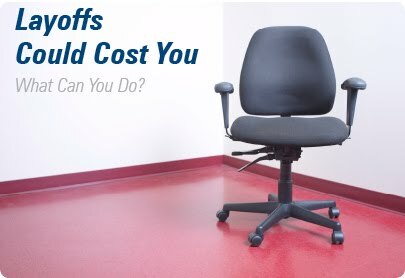 Though increases in layoffs could lead to an increase in workers compensation costs, there are preventative measures that can be taken. These include preparation prior to the layoff, appropriate assistance for affected employees, and proper management of records. Careful planning and handling of workforce reductions can help alleviate the problems that may arise and assist employees with the transition to new employment. Be familiar with state unemployment insurance laws, including the levels and durations of benefits. 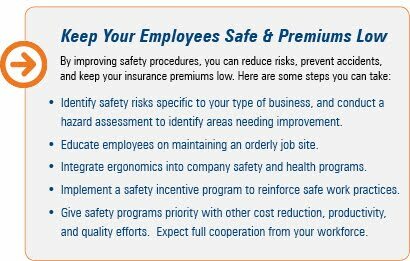 Investigate state programs available to employees that may offset workers compensation costs. Meet with your insurance broker to review pending claims and identify those that might become problems. Backup employee records and store them in secure locations. Claim records should be updated with the latest available information. Create a video record of conditions in the building prior to the layoff to easily demonstrate to a court what the work environment was like. Use exit interviews to document employees’ physical condition at the time of termination. Offer resume preparation or outplacement services. Offer employee assistance programs for those who need emotional support. If the company can afford the expense, offer severance payments to the employees in return for their written agreement to forego any future claims against the company. Ask the broker and the insurance company to coordinate claims handling through one office and one senior claims adjuster. Request that the insurer assign the defense of all cases to one law firm. Relevant records should be made easily accessible to the attorneys and any medical specialists the firm may hire. Relevant records include videos, employee files, job descriptions, and exit questionnaires. Identify key personnel who may be available to testify regarding job requirements and conditions. Have a list of their names and contact information available for the attorneys. The Leavitt Group is the 3rd largest privately held brokerage in the nation, providing risk solutions for commercial, health, and individual insurance needs.